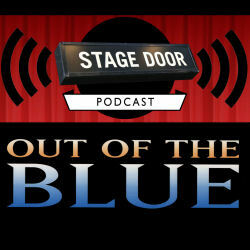 Stage Door Records are pleased to launch the Stage Door Podcast, a regular 60 minute documentary series looking behind the scenes at the West End musicals we've released on CD. The individual programmes will take an in depth look at each show's development and speak with the cast and creatives involved in bringing those productions to the London stage. 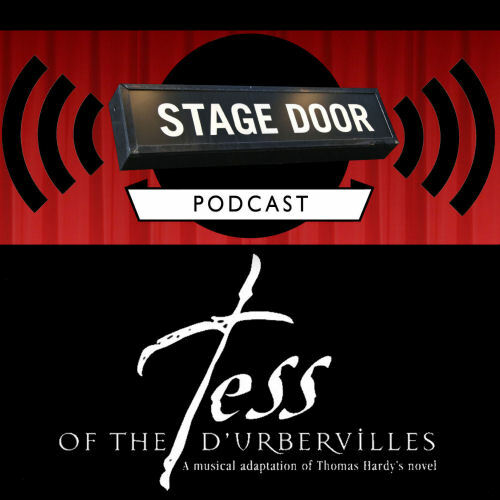 The Stage Door podcast is available to download for free on iTunes and Soundcloud. Future episodes are currently being developed and will be published throughout 2015. In the first episode, the spotlight falls on 'Out Of The Blue', a groundbreaking sung-through musical drama set against the back drop of wartime Japan and told through flash back, culminating in the dropping of the atomic bomb on Nagasaki. The musical opened at the Shaftesbury Theatre on November 23rd 1994 and closed on December 10th after just 20 performances and largely negative reviews. To commemorate the show's 20th anniversary, the Stage Door podcast looks at the reasons why, despite being described by LBC Radio as "the best-sung musical currently in London", the show failed to succeed and became recognised as one of the West End's most notorious flops. The podcast features detailed and revealing interviews with the shows composer Shun Ichi Tokura, director David Gilmore and cast members Meredith Braun, Greg Ellis and Paulette Ivory. The programme also includes excerpts from the cast album, including a never before heard cut song from the 'Out Of The Blue' workshop. In this episode the spotlight falls on 'Tess Of The D'Urbervilles', the 1999 West End musical adaptation of Thomas Hardy's classic novel. Featuring music by Stephen Edwards and a libretto by Justin Fleming, 'Tess' opened at the Sheffield Lyceum on September 6th 1999 and was declared a "landmark in musical theatre" receiving overwhelmingly positive reviews from the critics. Following a brief UK tour, the production transferred to the West End opening at The Savoy on November 10th, 1999 and was universally damned by the critics, one reviewer sighting the show as "the last great musical flop of the Millennium". 'Tess' closed on January 15th 2000 after just 77 performances. 15 years after 'Tess' closed we look back at the ambitious through-sung drama and explore the journey the production underwent during its development. To reflect on the production we're joined by the composer Stephen Edwards, lyricist Justin Fleming, director and adapter Karen Louise Hebden and both actresses who would alternate the role of Tess; Poppy Tierney and Philippa Healey. The programme also features excerpts from the previously unheard live recording of the production, recorded on the press night at the Savoy Theatre and featuring Poppy Tierney as Tess. 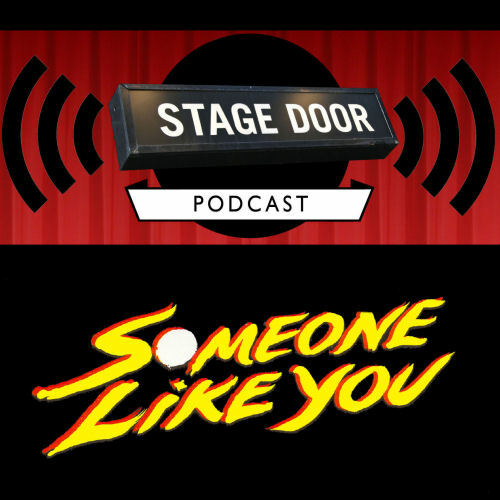 In this special edition the spotlight falls on 'Someone Like You' the 1990 West End musical composed by Petula Clark and Dee Shipman. Based on a concept developed by Clark over a period of several years, it is set in West Virginia immediately after the end of the Civil War. Directed by Robin Midgley, the musical premiered on October 25, 1989 at the Cambridge Arts Theatre in Cambridge, the production toured the UK until December 9 1989. On March 22, 1990, Someone Like You transferred to the Strand Theatre in London's West End. In addition to Clark, it starred Dave Willetts ('The Phantom of the Opera', 'Les Miserables') as the Major and Clive Carter as Kane. Reviews were mixed, although most critics praised Clark's performance and her contribution to the score. Due to financial difficulties faced by producer Harold Fielding, the show closed without warning after the April 25 performance. To reflect on the production, the podcast features interviews with Dee Shipman and Dave Willetts and an archive interview with Petula Clark from March 1990. The programme also features excerpts from previously unheard rehearsal takes performed by Dave Willetts.